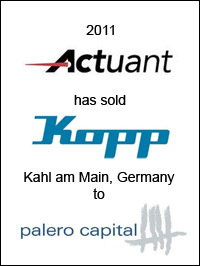 Actuant Corporation (NYSE: ATU), a diversified industrial goods company, has sold Heinrich Kopp AG, its European electrical business, to Palero Capital GmbH, a Germany-based private equity firm. Kopp designs, manufactures and markets electrical sockets, switches and other tools and consumables predominately for the European Do-It-Yourself retail market. It has operations in Germany, Austria and Tunisia, with annual revenues approximately $105 million and employs approximately 525 people. 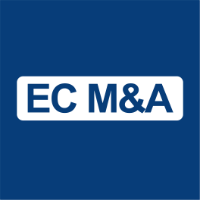 EC Mergers & Acquisitions advised Actuant on this transaction.